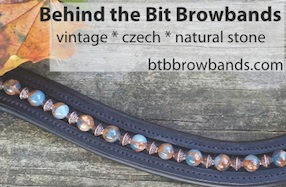 Behind the Bit: A much better day! Here is a spring 2013 video of the same horse and rider as yesterday (Kathleen Raine and Breanna), a much better day! I saw this ride--it's at Rancho Mission Viejo Riding Park in San Juan Capistrano, a beautiful facility (I believe it used to be called "Oaks Blenheim"). And yes, Kathleen and her lovely mare were just lovely that day.